Silver City Aluminum is dedicated to providing the absolute best standards of quality control and service to each and every one of our clients. 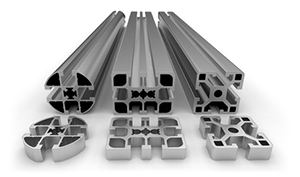 Our goal is to provide a superior custom aluminum product that will exceed all expectations. Our focus is kept on the application of the product itself, considering all specifics of its intended end use. Through our many years of providing quality products, we have discovered that the more we are able to get involved in the process of product development, the more we are able to help our clients create a finished design that will meet their needs. We take pride in getting fully involved in the design process for every one of our customers’ projects. This also helps to improve quality control and provide exceptional customer service at the same time. At Silver City Aluminum, we are also very proud of our lead times – they are outstanding! The industry standard is between one to one-and-a-half months from the date the order is placed until the day that it is delivered to the client. We have the ability to get finished custom aluminum products delivered to our clients via our own fleet of trucks within 3-4 weeks maximum. This is our STANDARD lead time. SPECIAL ORDERS – We can also do special orders for clients who urgently need materials in an emergency situation, producing orders and delivering them within 3 days to a week, if necessary. Again, this is only in case of emergency as a special favor to our clients. Here at Silver City Aluminum we have a team of highly professional employees who are trained to create parts for our customers that are designed to exceed expectations. Because we get directly involved in each and every project, we are able to provide outstanding services to all of our clients – locally in the Southeastern Massachusetts area – and all around the world!